Marvel Contest of Champions has long been a hugely successful mobile game for Kabam - a key reason why Netmarble bought the Vancouver studio that made it. Now Kabam has signed a publishing partnership with NetEase to unleash the title in the world's most lucrative market: China. The Black Desert franchise has made some serious cash for South Korean publisher Pearl Abyss, more than $1 billion in fact. The mobile release has accounted for 30 per cent of that. Animoca Brands can't help buying up companies of late. This time it's bought a 75 per cent stake in Hong Kong-based collectible card games developer Skytree, which looks set to get to work on IP including F1, Major League Baseball, Bundesliga and the Bayern Munich football team. Not just buying up and investing in various companies across the development, AI and blockchain sectors (not forgetting new licensing deals), Animoca Brands has snapped up ex-Sony MD and VP Michael Ephraim as its head of partnerships for Australia and New Zealand. Indian developer Games2win has snagged the rights to make a mobile game of Sony Pictures' popular TV show CID. The title has picked up 500,000 downloads to date. Following in the footsteps of temporary bans in some Indian cities.PUBG has now been banned in Nepal over concerns of addiction in children and teenagers. 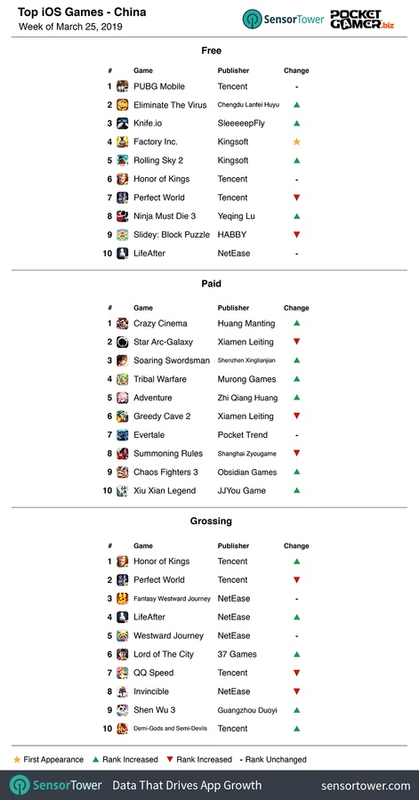 For the week of March 25th, Tencent's Honor of Kings reclaimed top spot, a position it recently lost to another Tencent game, Perfect World. A new report from Niko Partners claims that 60 per cent of gamers in Southeast Asia are "strongly drawn to esports". Chinese publishing giant Tencent has its own PC storefront called WeGame to rival that of Steam, which it has now begun rolling out internationally. 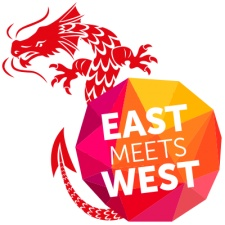 NetEase general manager of strategic investment and partnership Simon Zhu discusses the Chinese publisher's latest investments and acquisitions and what they mean for the firm. Following the end of last year's games licensing freeze in China, while approvals are still catching up, Tencent's overall business is recovering its share price.